Lloyd is 5 and has severe Cerebral Palsy, vision impairment and other complex conditions. He is unable to walk or talk but is a very happy little boy. 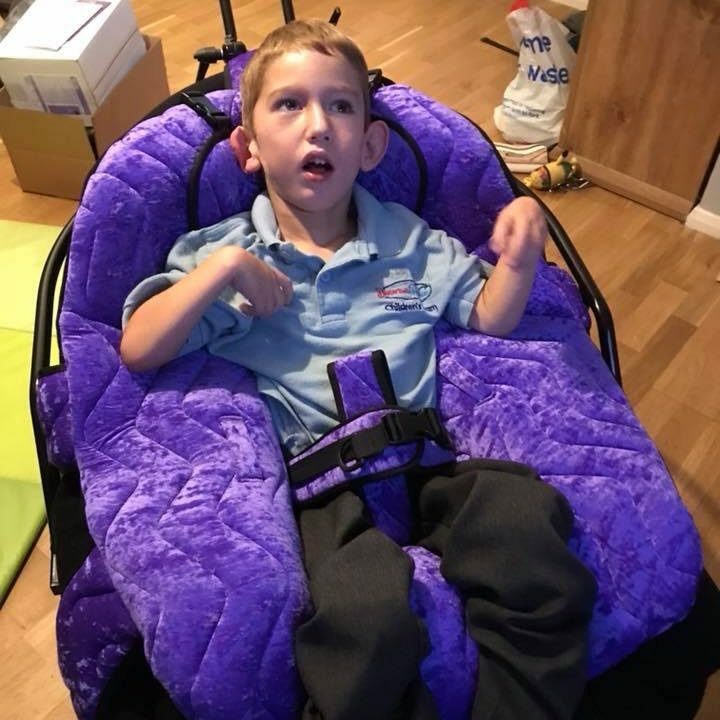 His sister is only 9 and has done lots of sponsored runs so together with her we were able to purchase him a P Pod Orthopaedic seating system. This fits perfectly into his home environment and offers him the high level of postural support he needs. We are delighted to report that Lloyd is really comfortable in his new seat and is able to relax, out of his wheelchair, with his family. Lloyd is 5 and has severe Cerebral Palsy, vision impairment and other complex conditions. He is unable to walk or talk but is a very happy little boy. His sister is only 9 and has done lots of sponsored runs so together with her we were able to purchase him a P Pod Orthopaedic seating system. This fits perfectly into his home environment and offers him the high level of postural support he needs. We are delighted to report that Lloyd is really comfortable in his new seat and is able to relax, out of his wheelchair, with his family.